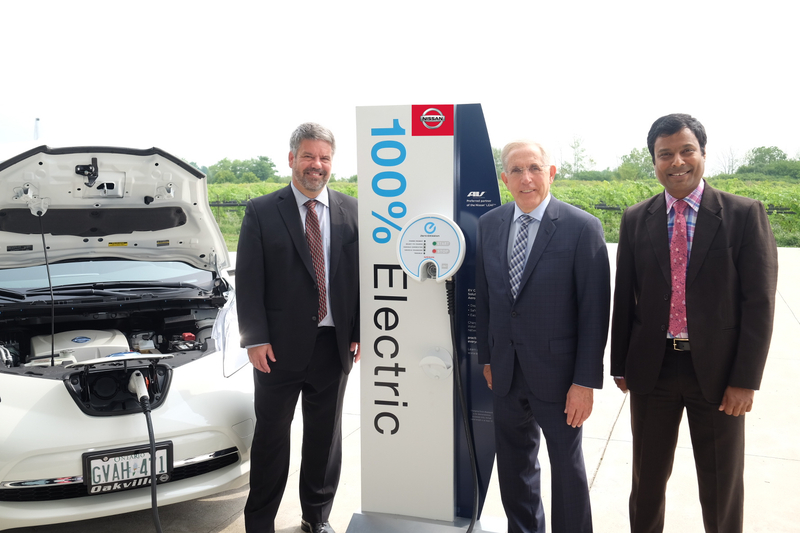 August 18, 2015 - Niagara-on-the-Lake Hydro announced today their collaborative partnership with Tech Mahindra Ltd. to build an Intelligent Electric Vehicle Charging System (IEVCS) designed to contribute toward Ontario’s clean energy future. The two-year project, sponsored by the Ministry of Energy and funded in part through the Ontario Smart Grid Fund initiative, will analyze the effects of electric vehicle (EV) charging on transformers by creating a real time transformer monitoring and analytics solution. The Tech Mahindra solution will have the ability to automatically manage the charging between vehicles to ensure the transformers do not overload as a result of EV charging. “Innovation is a habit at Tech Mahindra and we continue to build strategies that challenge convention and reshape markets while delivering greater value to our partners. We are excited to have the Ministry of Energy sponsor our project through the Ontario Smart Grid Fund initiative, and believe that our expertise will help build a smarter grid in Ontario,” said Sirisha Voruganti, Global Head of Innovation, Tech Mahindra. “We are extremely delighted to launch this project in Ontario with Niagara-on-the-Lake Hydro to build a cleaner energy future for the citizens of Ontario”, she added. “Ontario is committed to supporting leading-edge smart grid projects in the province that create jobs and secure Ontario’s position as a North American leader in emerging energy technologies. We are confident this project will not only enhance Ontario’s smart grid, but also enable Tech Mahindra to take an Ontario-based solution global.” said Bob Chiarelli, Ontario Minister of Energy. Up to 15 Niagara-on-the-Lake households will be invited to participate and will be provided with the use of an electric vehicle for four months. Niagara-on-the-Lake Hydro distributes power to over 8,600 customers in the Town of Niagara-on-the-Lake. We are committed to operating as a sustainable high-performance, customer-driven business and to providing the highest standard in safety, service and reliability. NOTL Hydro was the first Ontario utility to be awarded with the IHSA’s Platinum Safety award and was the 2014 ENERGY STAR® Utility of the Year (Regional Category) in Canada. The Town of Niagara-on-the-Lake is the 100% shareholder of the corporation.